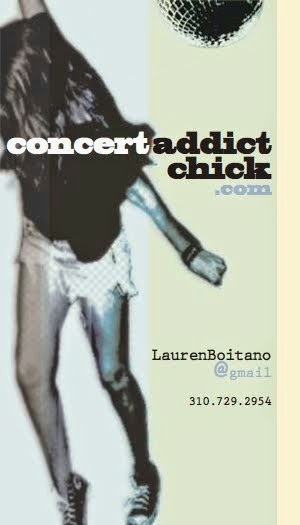 CONCERT ADDICT CHICK: HAPPY NEW YEAR!!! OK so I'm a day late to say "Happy New Year!!!" but I have an excellent excuse. I just spent the last few days (Saturday through Tuesday) ringing in the New Year in Ensenada, Mexico with 13 of the raddest people you'll ever meet. We rented a house RIGHT on the beach that had a hot tub & 1 of the most beautiful views I've ever seen. We ate copious amounts of delicious Mexican food (plus my special NYE scallops & prawns risotto), drank tons of tequila, beer & champagne, played with fireworks on the beach, had sing-a-longs (including a so-terrible-it-was-fabulous rendition of Auld Lang Syne at the stroke of midnight on NYE..with sparklers & champagne in hand), played poker & other silly games, watched football, made cozy fires, wandered around town & simply had THE best New Year's celebration EVER. And this is just plain adorable. I heart JGL & Zooey SO much!